From the Home screen, tap Games. The Games content library appears. Your GameCircle avatar appears here (A). Your GameCircle nickname appears here (B). 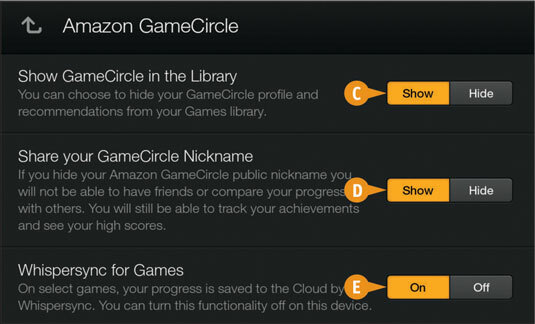 The Amazon GameCircle settings page appears. You can tap Show or Hide (C) to reveal or conceal GameCircle information in the Games content library. 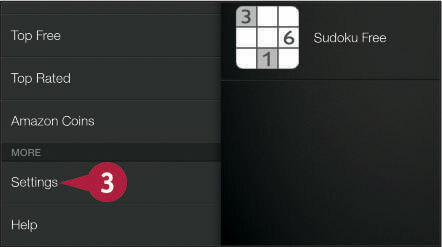 Tapping Show or Hide (D) reveals or conceals your GameCircle public nickname. 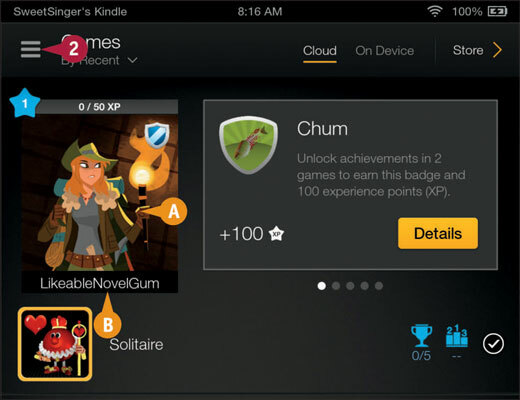 Tapping On or Off (E) uploads or disables uploading your game progress to the Amazon Cloud. 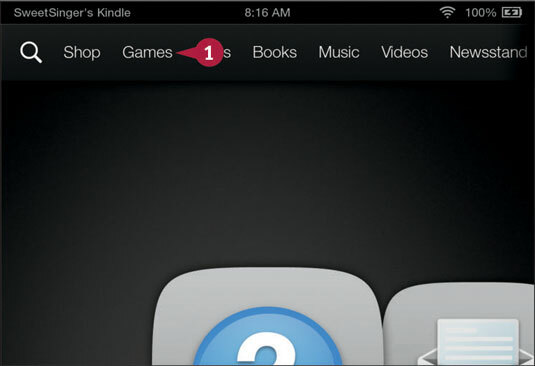 At the bottom of the screen, you can tap the Back arrow to return to the Games content library or the Home button to return to the Home screen.